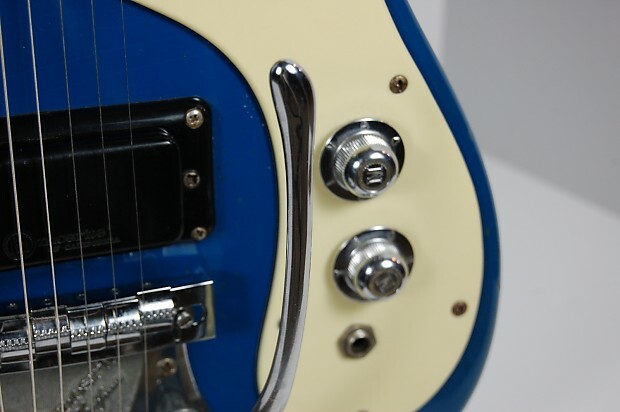 Smash Music is pleased to present to you this 1965 Mosrite 'The Ventures' Mark V Guitar. 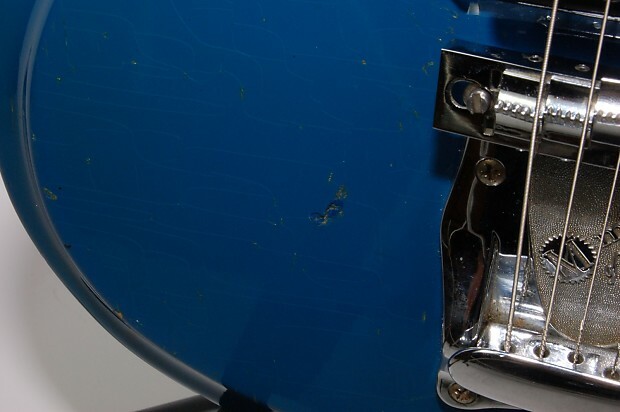 It is in Pacific Blue with a Double Cutaway body style. 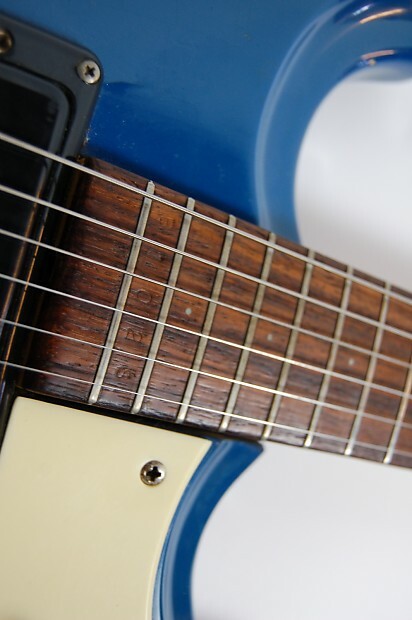 This guitar has the Moseley Vibrato unit and low profile fretting referred to as speed frets. 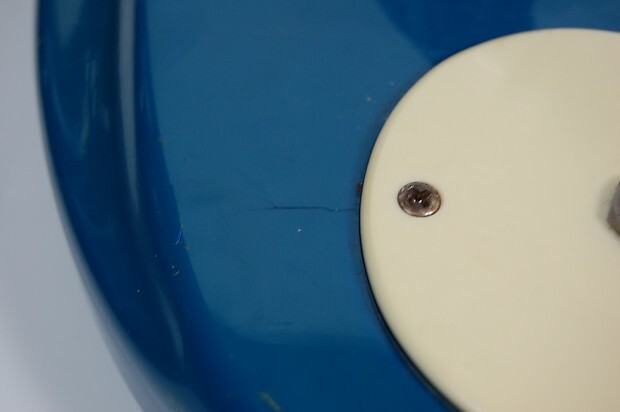 ‘M’ knobs are hat type and have the Mosrite ‘M’ embossed on them. They are in perfect working order. 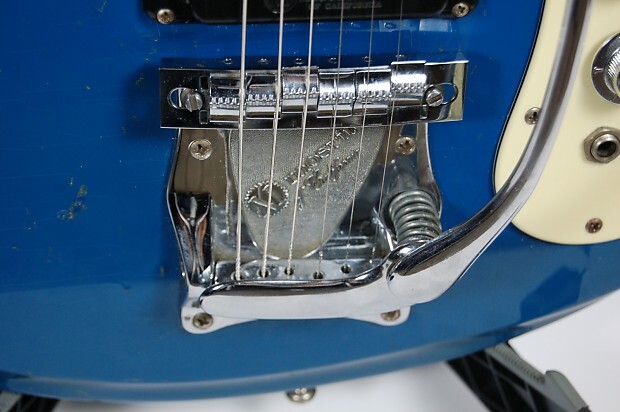 The pickups are embossed with the Mosrite of California logo. 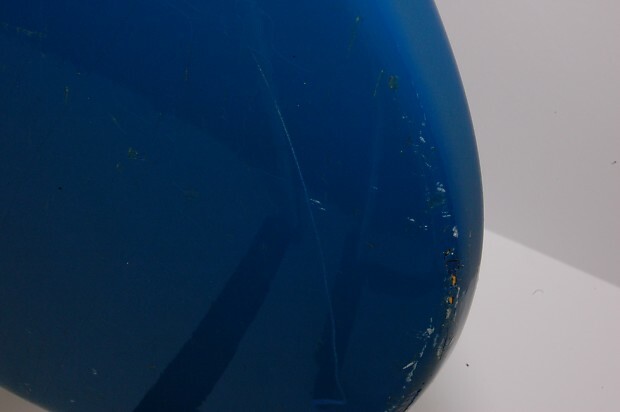 The Pacific Blue finish has some cracks and abrasions, please refer to the images included. 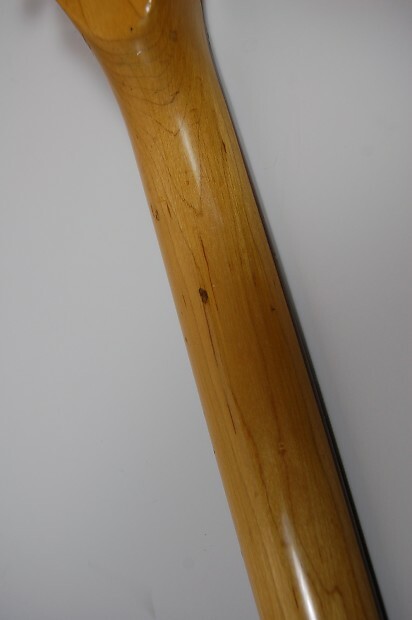 It is the original finish. 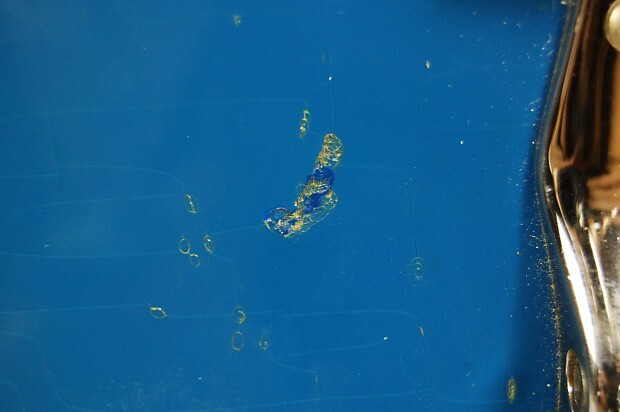 Serial # B1026. Please see the reference information below for more historical information. Smash Music encourages your questions and feedback by messaging us or by contacting us through yoursmashmusic.com. 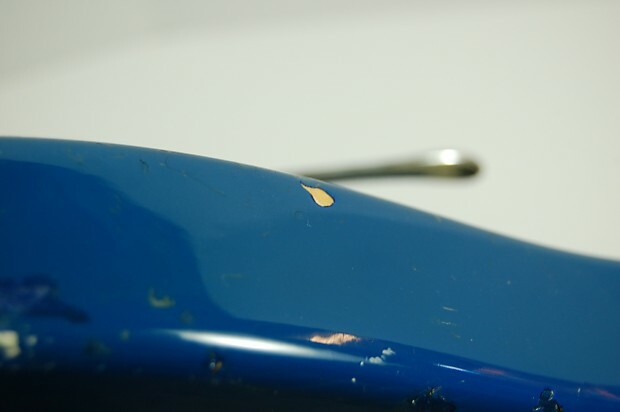 We are a full-charge fretted, band and orchestral instrument and accessories music center with a full staff of qualified repair techs and luthiers. Thank you for supporting our family-owned and operated American enterprise. Information below is the property of Tym Guitars. 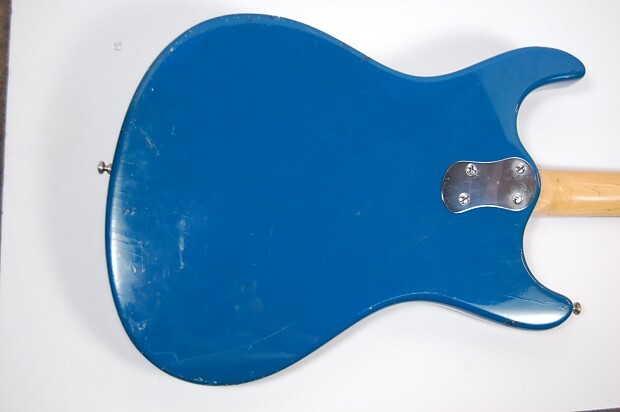 Price at 1966: $398.00 US Dollars + $54 for a hardcase. 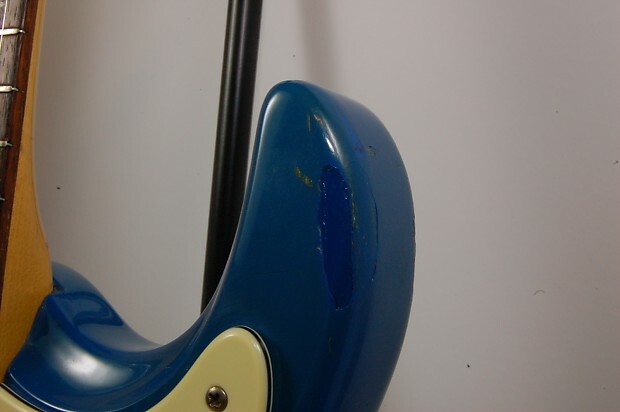 The first “Official Ventures” guitar was available in 1963. 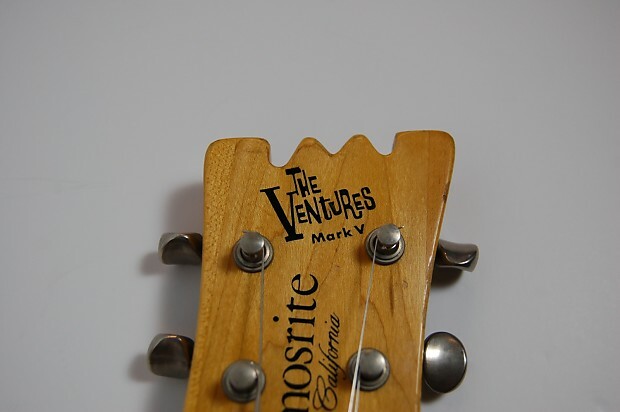 The first model was a set neck, celluloid bound body with a large “The Ventures” logo on the headstock. They were available in red or sunburst only. 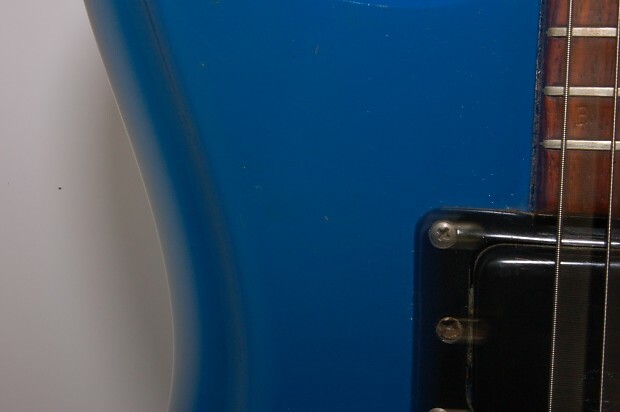 The jack was on the side of the guitar and these are referred to as side jack models. 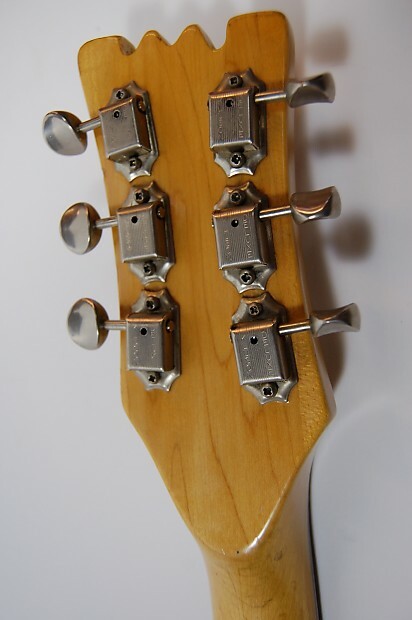 The necks were very thin and had extremely low frets known at Mosrite as speed frets. 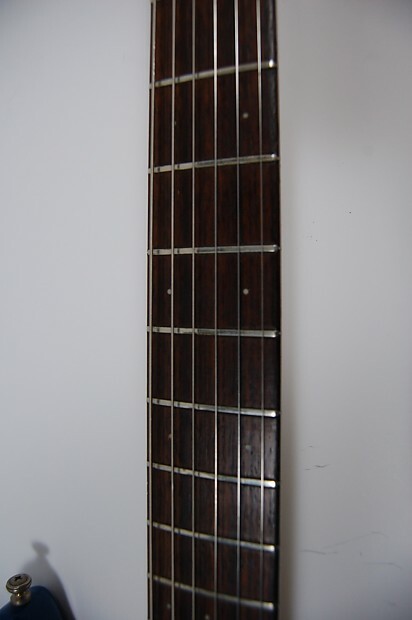 They had a zero fret and semi circular type metal string guide (nut). 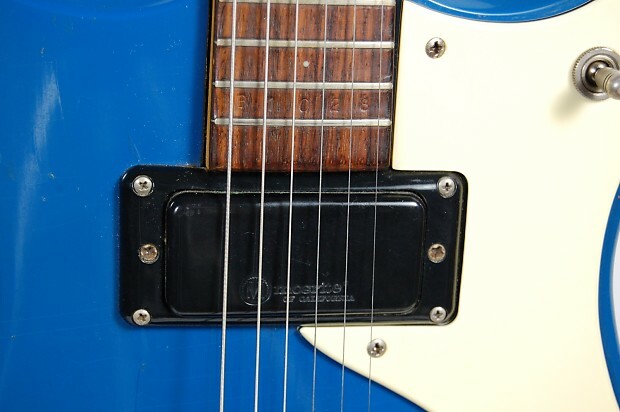 The vibrato unit on these early models was called a Vibramute and had a special muting mechanism near the bridge. 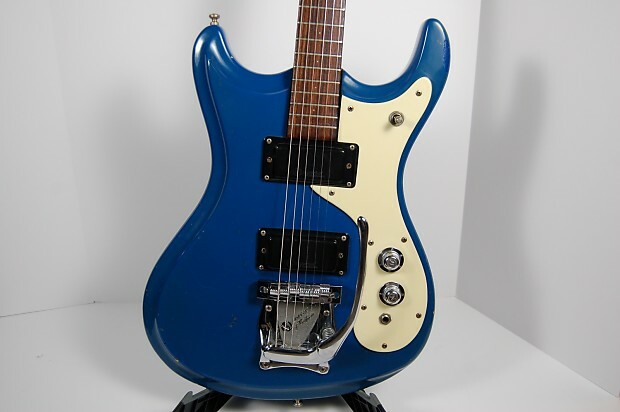 The Ventures used this model on their January 1965 tour. 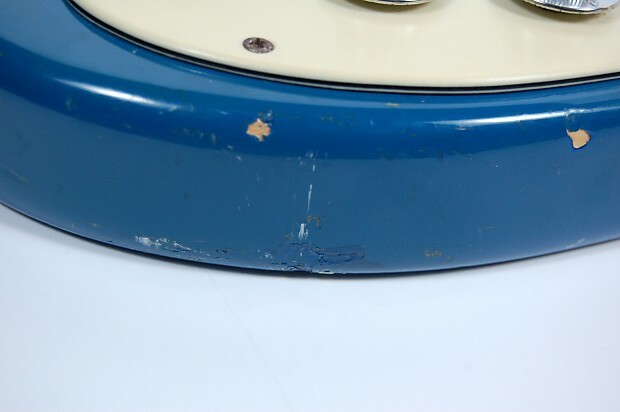 In 1964 the jack was moved on to the scratch plate and the body binding was dropped. 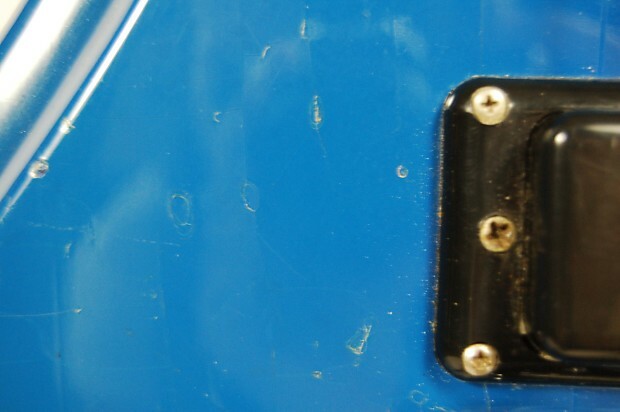 The neck joint was changed to the bolt on type but the screw heads were covered by a metal plate and then eventually went to a standard type bolt on neck through the plate. 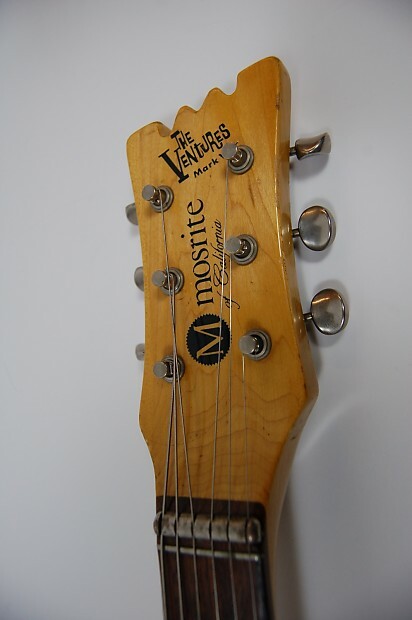 The Ventures logo became smaller in mid ’64 and the pick ups changed to show the Mosrite of California logo embossed on them, but with no R for registered trade mark. 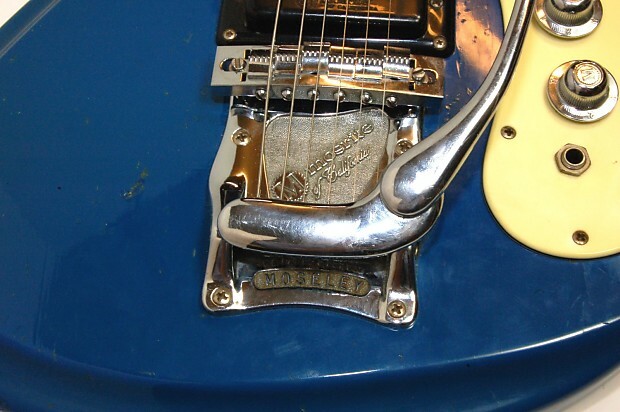 Sometime in mid ’65 the vibrato unit is changed to a Moseley type, which is essentially the same unit but now being die cast and with Moseley embossed into it. The mute mechanism had long since disappeared. 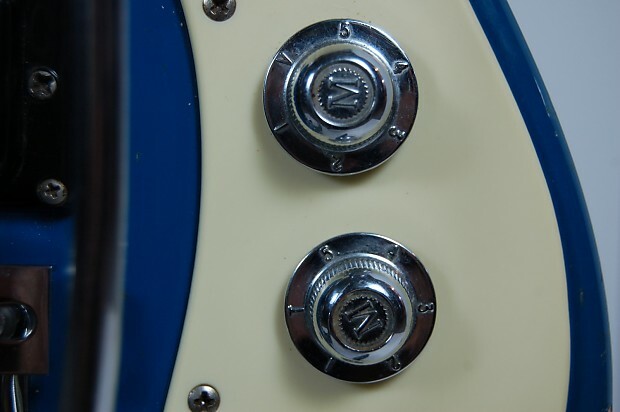 Volume and tone knobs are changed to a “hat type” with an “M” stamped on top and are numbered from 1 to 5 with V and T. In ’66 the knobs are changed again to something very similar but taller and without the V and T embossed in them. 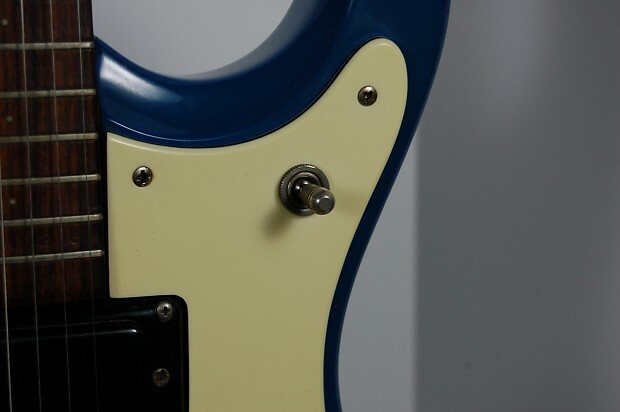 Also around this time the string guide is changed to a 1/4 round unit. 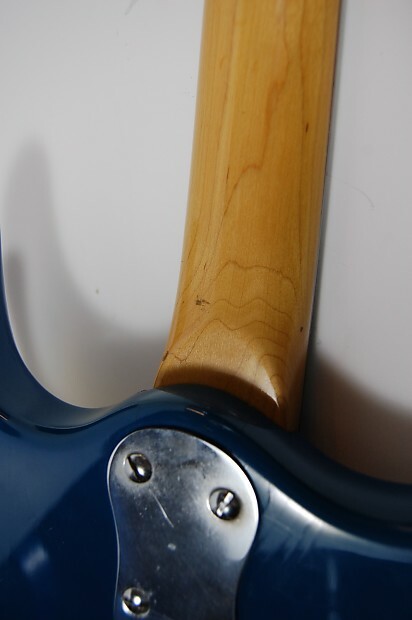 Necks are made from two or three pieces of rock maple but are still very thin with extremely small and low frets installed. 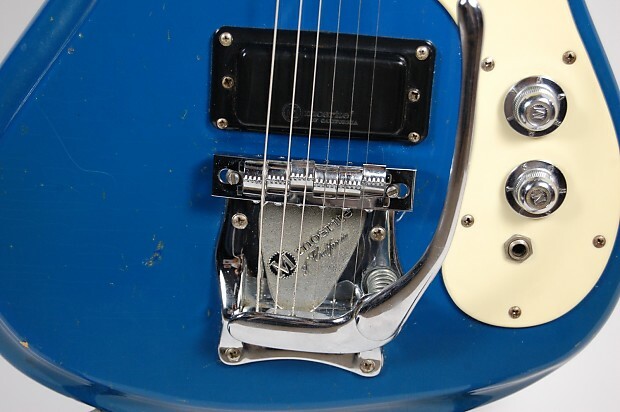 Most Mosrites have had truss rod adjustment at the headstock end since early to mid 65 but in mid to late ’66 the truss rod adjustment is moved to the headstock end of all models inc the Ventures model and a plastic rod cover installed.